Arkells and Frank Turner took over Massey Hall for a couple of shows over the weekend (November 4 and 5), and the headliners invited their opening act out on stage with them for a special Bruce Springsteen homage. Fans in attendance got to see the Hamilton rockers and UK singer-songwriter run through a medley of the Boss's biggest hits, and now footage from the performance has surfaced online. 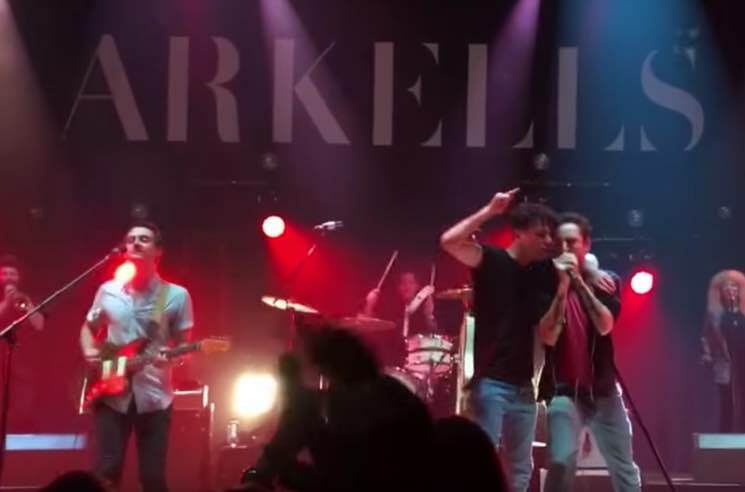 Arkells launched into "Dancing in the Dark," testing Turner's Springsteen impersonation, then followed it up with "Tenth Avenue Freeze Out" and "Hungry Heart." Turner had no problem nailing the words to each song, then cleared the stage to let Arkells close out with their original cut "Pulling Punches." Check out some fan-shot footage from the Friday night (November 4) show below, and find details about the artists' upcoming gigs together here.